Whether you’ve taken a calligraphy class before or never picked up a pen and ink this class is designed to inspire you to get creative at all skill levels. This class will be held at The Write Impression in Murfreesboro, TN on Oct 13, 2016. 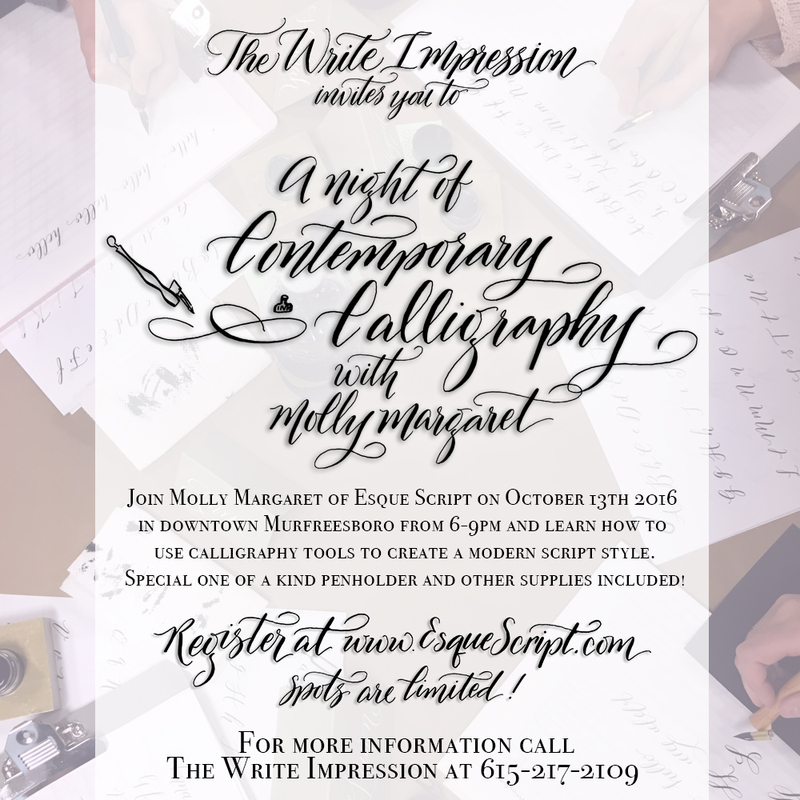 It will be a night filled with fun and learning, no previous calligraphy experience is needed. My goal is to inspire you to use the concepts you learn in this class to add flare to your next party, holiday cards, crafting, gifting and more! In this class we will be focusing on contemporary modern calligraphy styles. We will use dip pens, inks, papers and other supplies. Everything you need will be supplied for you and is included in the class fee. Space is limited. Secure your spot below! – Calligraphy handouts with lots of samples and ideas! This class is sold out. For future class announcements join my mailing list! Thanks! !